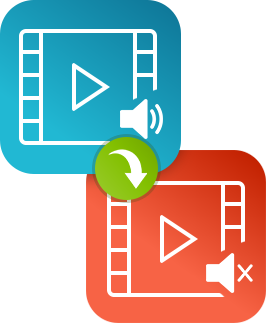 Need to remove audio from video? It’s always discouraging when you shoot a great-looking video clip but later find the audio has some unwanted noise that can be distracting, even annoying, to your audience. 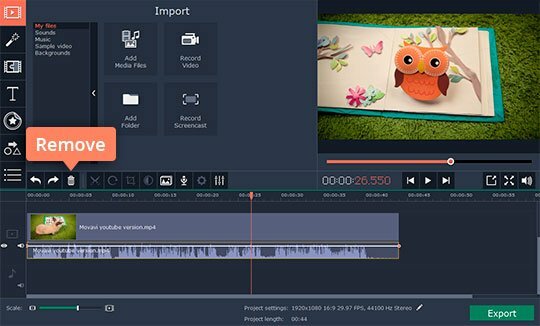 Fortunately, there is a quick way to rescue such videos – you can simply remove the sound from the clip and even replace it with your own audio track. 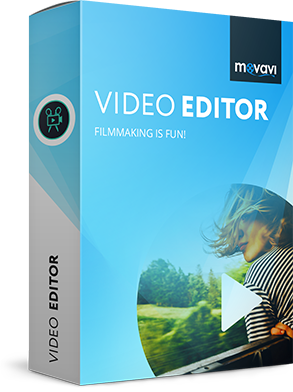 All you need is the right software like Movavi Video Editor. 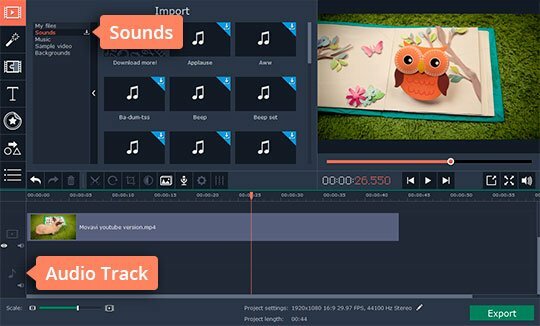 This multifunction tool will help you not only mute video, but also overlay appropriate music, apply special effects, add animated transitions and titles, adjust colors and much more. 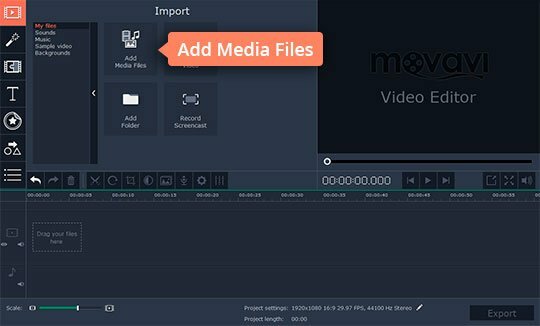 To learn how to remove audio from video, download Movavi Video Editor for PC or Mac and follow the steps below. Wait until the download is complete and open the setup file. Follow the on-screen guidelines to install the program. Open the program and select Create project in full feature mode. Then click Add Media Files and select the video you want to edit – it will be added to the Timeline automatically. To delete the sound from your video, just click the original audio track on the Timeline and press the Remove button as shown in the screen image. Click Add Media Files and select the audio file you want to use – it will be added to the Audio Track automatically. You can also choose a track from the built-in music collection – just click Sounds and drag your selected track to the Timeline. If your video appears to be longer than the music you’ve added, you can just duplicate the audio file and place both on the same track. Alternatively, you can upload another audio file to fill the space. If the music is longer than the video, you can drag the right edge of the audio to the left along the timeline until it lines up with the end of your clip. Click Export and choose the tab that fits your needs best. 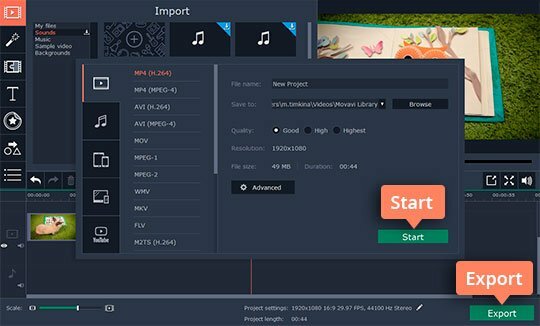 You can save your video file to store on your hard drive, export it for viewing on a mobile device, or prepare it for uploading to the internet. Once you’ve chosen the appropriate option, click Start to save the file in the optimum format.